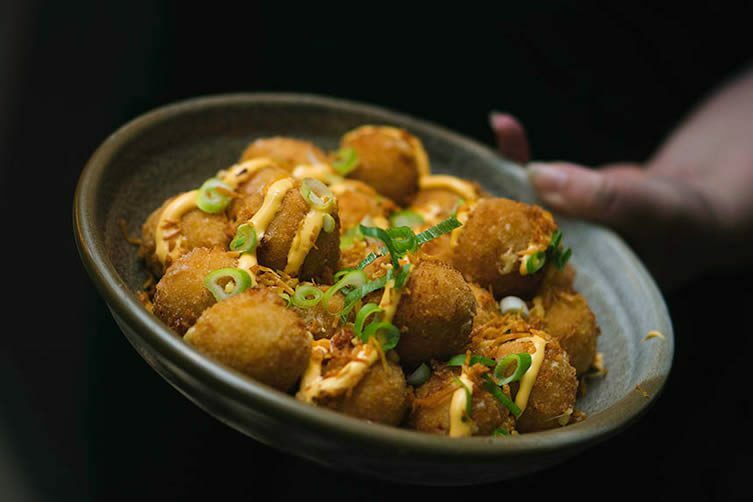 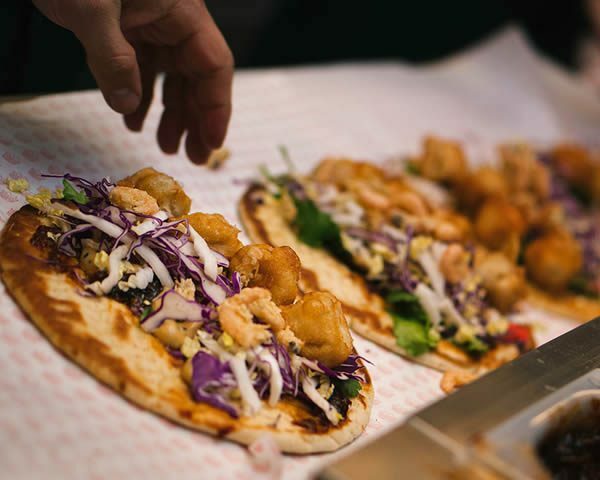 With a feel that’s more bar than diner, the Windsor outpost of Biggie Smalls — Melbourne’s ‘kebab joint with a difference’ that has already taken Collingwood by storm — has a food menu to match its northern original, combined with a new hypnotising cocktail menu exclusive to this venue. 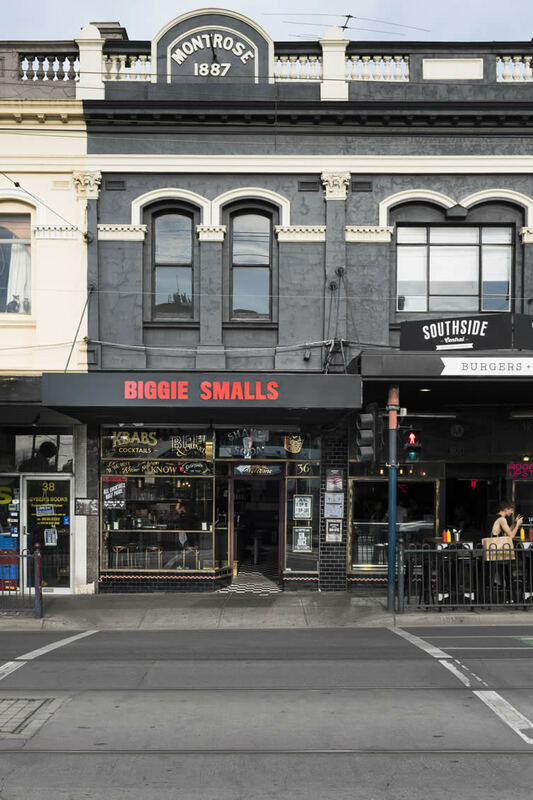 Located on Chapel Street, Biggie Smalls Windsor is a place for everyone; be it ducking in for a quick snack and shooting, or having a bite to eat and hanging around for a few drinks after. 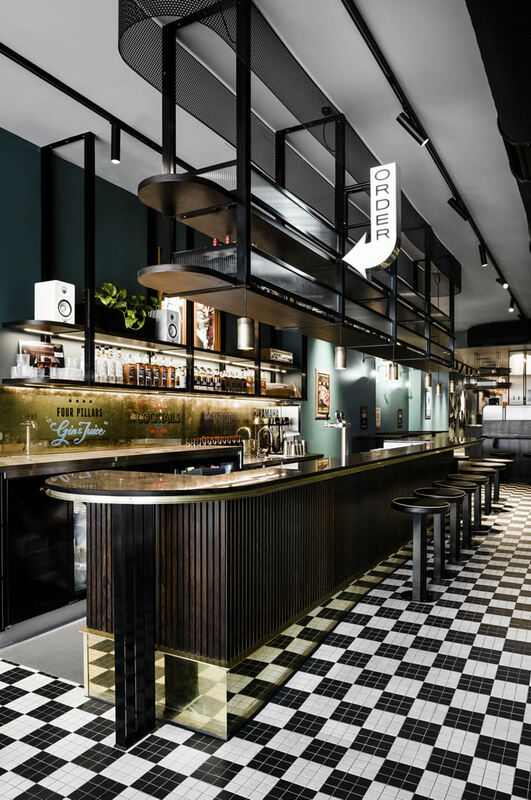 Working towards a brief that called for a ‘shift in focus towards drinks service’, Technē Architecture + Interior Design fitted out the space with a striking bar (an inviting blend of walnut-stained timber, black granite, and brass highlights) which doubles as the venue’s centrepiece. 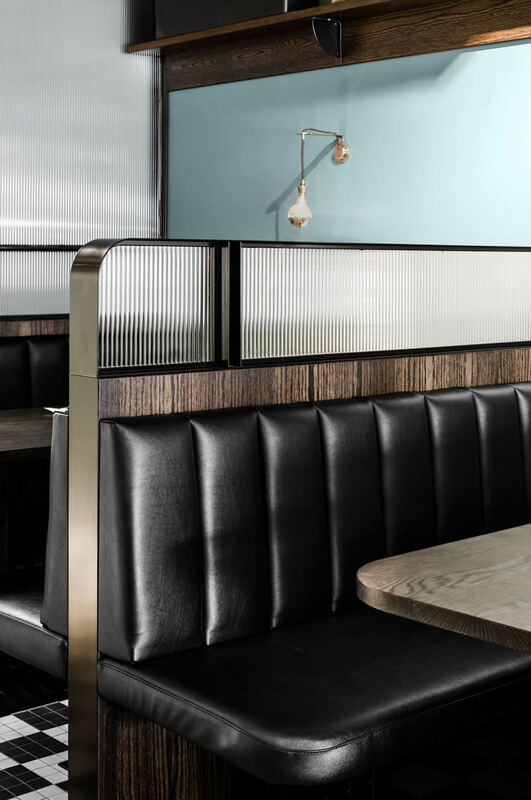 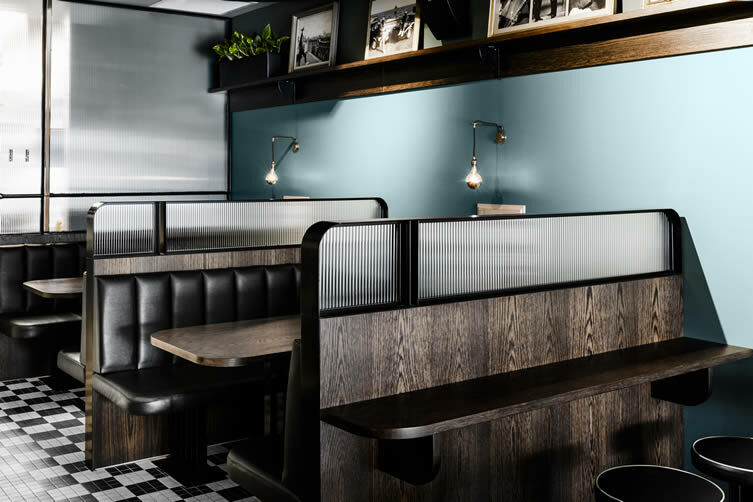 Elevating typical New York City diner aesthetics, generous booths and flexible table arrangements were designed to encourage groups to sit back and enjoy the space before heading on for a bar hop around Chapel Street and beyond. 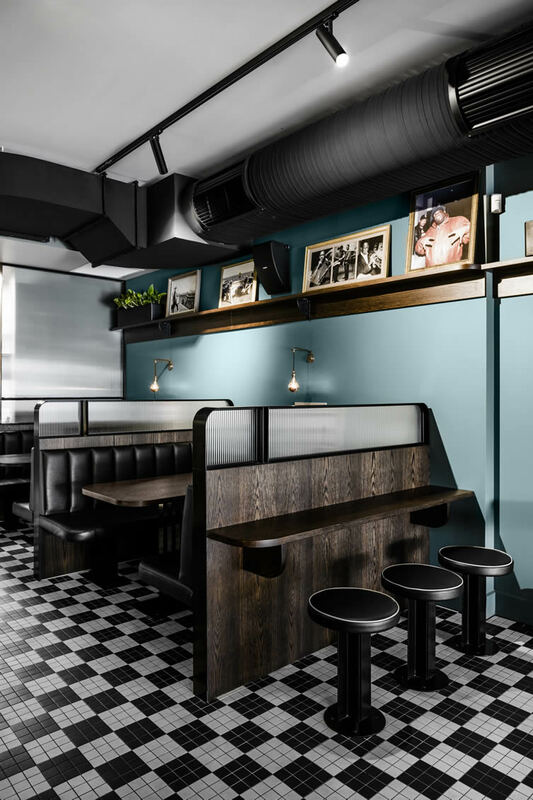 Although frugal diners might want to watch out for some ‘notorious’ pricing; “We have lots of people complain at our Collingwood store about our prices,” Biggie’s Shane Delia tells Broadsheet Melbourne, “‘$14 or $17 for a kebab?’ they’ll ask me. 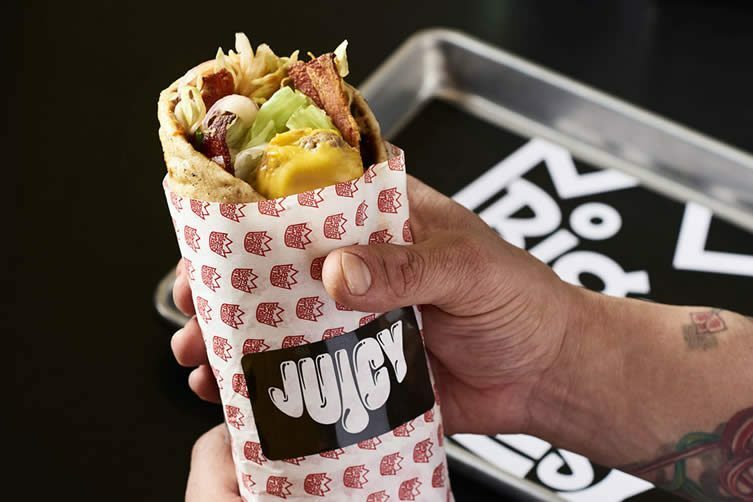 But we don’t sell traditional kebabs.” Mo money, mo problems.